In the video clip below Schellas Hyndman, current Men’s Soccer Head Coach at Grand Canyon University, leads the Going to Goal drill as part of his Exercises to Train the Striker demonstration. 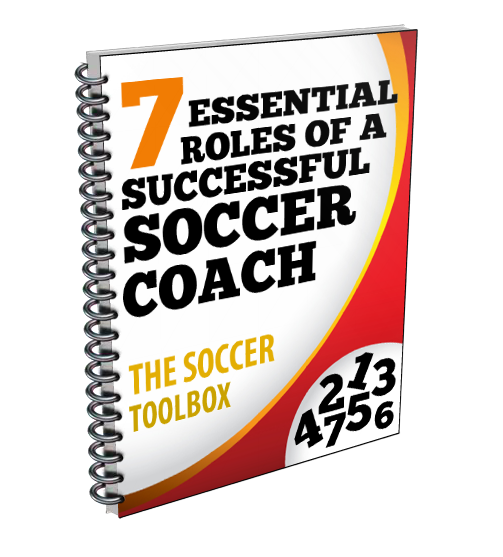 Coach Hyndman, who has over 30 years of coaching experience, has excelled at both the collegiate (Eastern Illinois, SMU) and professional (FC Dallas) levels. The set up for this drill is as follows. Place three offensive players about 30 – 40 yards to goal and one goalkeeper. The two players that are closest to the goal are supposed to simulate forwards and the player passing the ball to start the drill is a center midfielder. The players work on several passing combinations including up, back, and through, give and go, and a dummy run that allow one of the forwards to get into space to take a shot on the goalkeeper. This drill was demonstrated at a recent Glazier Soccer Clinic. If you are interested in gaining access to Coah Hyndman’s entire presentation, as well as hundreds of other clinic presentations, click the link Glazier Clinic Vault. Coach Hyndman does not limit the range of the shots, but instructs the players to not get too far in or close to goal. This is an important coaching point because lots of offensive players struggle with wanting to get too close to goal. Players should be encouraged to shoot from distance during drills like this to not only improve their foot strength and shooting, but to realize that you don’t have to be extremely close to goal to score. The video has sound so please make sure that your sound is turned on. Also, there should be an emphasis on quick passing combinations to free up the offensive player into space. In games, these passing combinations will never work against good teams if done slowly. Finally, another great part of this drill is that it involves the use of goalkeepers. Any time you can work in goalkeepers, you should make it a priority. These offensive passing combinations and shots are realistic game type situations that goalkeepers need to be ready for during games. Make sure your goalies are cutting down shooting angles and ready to save all types of shots that are coming from distance.